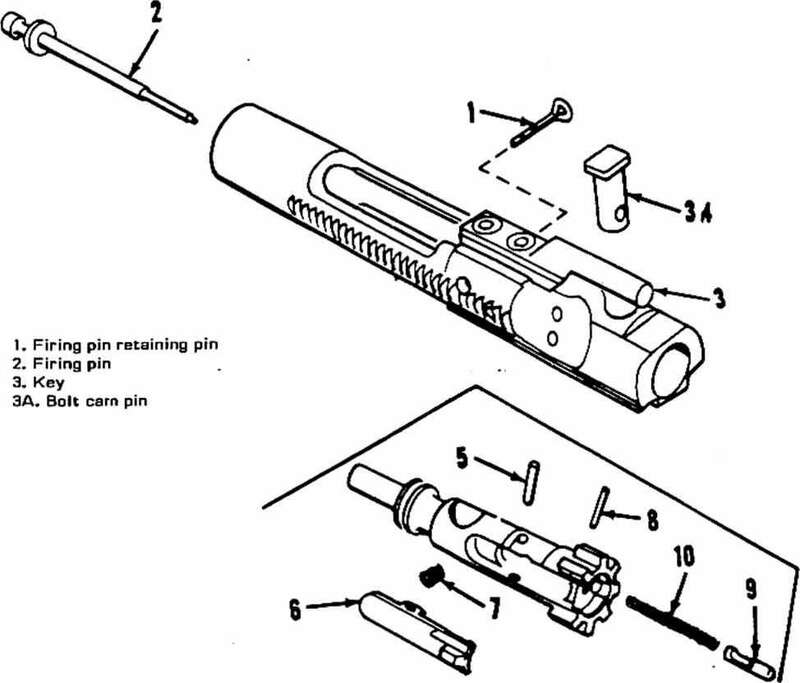 It will be necHssary to disassemble the AR-15 bolt carrier. The parts will be reassembled in the M-16 carrier. 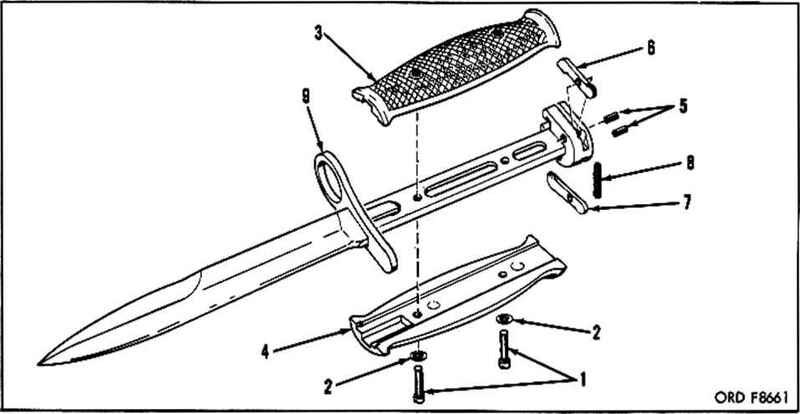 Step 1 Remove the firing pin, retaining pin Cpart I) from the carrier. Step 2 Let the firing pin (part 2) drop out the rear of the bolt and carrier. Step 3 Remove the key Cpart 3] from the top of the bolt carrier. Note the two alien head key screws will be staked in place. Step 4 Pull the bolt cam pin (part 3-A) out the top of the carrier. Reassemble in the M-16 bolt carrier in reverse order. NOTE... The two alien head key screws are B X 32 X 1/4 inch, if you should need to replace them.